2B Living – Property Management. Reimagined. 2B Living - Property Management. Reimagined. Check out the units available for rent around the Bay Area. We manage property. And we are good. You should hire us immediately. Our building maintenance service is expected to launch in Q1 of 2018. Please stay tuned for further details! 2B Living was founded on a simple premise: there has to be a better way to manage properties. We endeavored to build the best-in-class property management service for property owners while providing an unparalleled rental experience for tenants. We embrace technology, employ talented people, care about tenants and communities and drive value for our clients. And maybe we reshape an industry while we are at it. Welcome home. We manage over 150 properties and approximately 900 units throughout the Bay Area. We love our properties and you will love working with us. So give us yours and get to work on your bucket list. Our team is awesome. We like renting cool apartments, fixing things and accounting for anything that looks like rent. At the very least, we are less dislikeable than the last property manager you dealt with. Brooks is passionate about property management and relentlessly dedicated to 2BL’s property owners, tenants, vendors and employees. He lives and breathes 2B Living but is also a family man who loves his wife, two sons and dog – so long as they pay rent on time. Fun Fact: By his 18th birthday, Brooks lived in 18 houses in 3 countries and 3 states. When asked why you rob a bank, Tara replies “because that is where the money is.” Actually she is the most honest person we know. With a legal, accounting and tax background, CFO Tara oversees all of 2BL’s accounting and reporting operations and manages the Accounting Team. Fun Fact: Tara was bitten by a baby chimpanzee in Kenya. As the Director of Leasing and Chief Marketing Officer of 2B Living, the phrase “sell me this pen” is part of Rishi’s daily morning mantra. After running a leasing company in Chicago for 5 years and then renovating or brokering dozens of Bay Area properties for another 5 years, Rishi comes to 2B Living perfectly situated to manage our growing leasing team and help on board our new-construction properties. He lives in San Francisco with his wife, infant daughter, and their dog. Fun Fact: As a huge fan of cutting edge tech and cars, Rishi has owned 3 different electric vehicles in the last 3 years. Vince joins 2B Living as Director of Property Operations and brings with him a passion for efficient and excellent property management. Having worked in asset management and acquisitions, he also has a great appreciation for the investment side of the business. Vincent lives in San Francisco with his wife and children. Fun Fact: Vince once swam from Alcatraz to San Francisco without a wet-suit, proving that an escape is possible. Barbara Corcoran and Joanna Gaines can’t hold a candle to Trish. Whether giving an apartment building a make-over, or advising the perfect renovation, Trish brings a detail-oriented, problem-solving approach to managing the Construction Management Team. Fun Fact: Trish was on Family Feud in 2001 and WON! Jon was born and raised on the East Coast before relocating to the Bay Area in 2012. Jon manages the onboarding process for all 2BL new clients and properties and is responsible for business development. Jon often dreams of spending his weekends golfing, or relaxing with his English Bulldog and watching an entire Saturday of college football undisturbed, however, you can typically find him spending time with his wife and chasing their two kids. Fun Fact: Jon was in the 1980 movie Superman II. Scott can process a rent payment, fight an over-charge on a water bill, create an operating budget and chew gum at the same time. And do it with grace and patience. He is a Bay Area native, through and through, and is very happy that the LA Dodgers lost the World Series. Fun Fact: Scott tried out for Jeopardy and was declined because of poor hand mannerisms. Juan is a US Navy Veteran, born in Peru and raised in Palo Alto. After participating in more than 1,000 surgeries and a 9-month operational deployment to fight ISIS, Juan figured he would tone it down a notch and put his math skills to use. He is as meticulous with accounting as he was in the operating room. Juan loves walking, chess, and drinks at the beach. Fun Fact: Juan would drown every day and be subsequently rescued for 2 months while in boot camp because he did not know how to swim. As an Accounting Assistant and 2B Living’s Office Manager, Alex excels at overseeing details and keeping things organized. Prior to joining 2B Living, Alex was a team leader for Lowe’s, which required him to be a licensed forklift operator. Originally from Orange County, where he enjoyed all the beaches and developed a passion for swimming, Alex relocated to the Bay Area to challenge himself, explore the beaches of Northern California and try something new. As a native of Berkeley, Dave engages the Bay Area with passion and enthusiasm. With a background in logistics, Dave honed his skills in maintenance, landscaping, painting, carpentry and customer service over 15 years. Fun Fact: People say Dave has a radio voice and looks like Andre Agassi and Vin Diesel. Mary has a wealth of experience and some incredible stories from managing properties in the Bay Area for over 35 years. Her contagious enthusiasm, passion for problem solving and diligent work ethic shines in everything she does. Fun Fact: When Mary is not working (which she does most of the time), she loves to go on long runs and buy/sell cool antique collectibles. 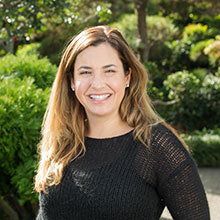 Nicole is a Bay Area native with over 18 years experience in both residential and commercial real estate. During her career, Nicole has held a variety of positions across all aspects of the real estate industry including sales, acquisitions, debt services, asset management, and construction and property management. Nicole’s ability to clearly communicate and solve problems allows her to provide an unparalleled level of service throughout her career. While Nicole takes pride in offering a personable level of service to all clients, her substantial experience and dedication to providing exceptional customer service make her an incredibly valuable member of the 2B Living team. Fun Fact: Nicole loves photography, and for almost 15 years, she spent her weekends capturing wedding memories or those special moments shared between parents and kids. Unfortunately, after devoting too many of her weekends to others, all of the incorrigible toddlers and Bridezillas finally wore her out, so now she settles for the occasional snapshot of a stunning sunset or instagram worthy meal. Guillermo is a family man with an incredible problem-solving attitude and extensive maintenance knowledge base. When you rent with 2B Living in the South Bay, you can rely on Guillermo to cure maintenance woes with a smile. Fun Fact: Guillermo hates Christmas and has earned the nickname “2BL Grinch”. If it has to do with real estate then it’s safe to say Brandt probably has experience with it, especially property management and turning around underperforming assets. In addition to his property management experience, he has been a private lender and is also a Licensed California Real Estate Broker. Born and raised in the Bay Area, Brandt has been personally investing in local real estate for over a decade. Brandt received his BA in Economics from Pepperdine University, and is also a California Certified Residential Manager. Fun Fact: Brandt played Division I volleyball for Pepperdine University and is currently the Head Coach of UC Berkeley Men’s Volleyball team. Theresa brings to 2BL a plethora of experience in property management, leasing and renovation. Prior to “conventional” property management she spent seventeen years managing large estates along the peninsula, in San Francisco and the Napa Valley. She is extremely customer focused and believes empathy and “the Golden Rule” are the most important components to superior customer service. Fun Fact: Theresa is a third generation native San Franciscan – a very rare breed! Michael has spent the last 20 years living in San Francisco and experiencing all of the wonderful things the City has to offer. He brings a background in commercial and residential real estate to the San Francisco leasing world. Michael loves playing golf and taking trips to explore all of the natural beauty of that the Bay Area has to offer. Fun Fact: Michael has thrown out the ceremonial first pitch at a SF Giants game. Having lived her entire life in the Bay Area, Erin is an expert on life in the South Bay! She is passionate about real estate and is excited to work on the leasing end of property management. Erin’s friendly nature will immediately put you at ease and make renting a 2B Living property a wonderful experience. Erin loves animals and spends much of her free time hanging with her family and her 2 golden retrievers. Fun Fact: Erin loves planting and every year plants a big vegetable garden (disclaimer: the only thing that grows are weeds). Frances has a wholehearted love for all things real estate and has committed herself and her career to the field. As a licensed realtor focused on residential properties in the East Bay, Frances is a member of the National Association of Realtors, the California Association of Realtors and Oakland–Berkeley Association of Realtors. As much as Frances loves the world or real estate, she loves her community and the outdoors even more! When she’s not working, Frances can often be found hiking, camping or just enjoying the outdoors somewhere around the Bay. Fun Fact: Frances is incredibly social and loves to dance! She is also part of the community group called “Wild Women of West Oakland” which offers a place for women to come together to support each other as a community and have fun! Obi is a San Francisco native and homegrown cultural enthusiast. He counts himself lucky to have grown up in a diverse area that has allowed him to travel the world vicariously through the city’s various food, art, and human experiences. His formative experiences led him to start a global supply chain and logistics company and see more of the world on his own. Nonetheless, no matter where his travels have taken him, San Francisco has been and always will be Obi’s home. Fun Fact: Obi towers over most of his family at 6’5” and his dad insists that Obi got his height from him… Obi’s dad stands a striking 5’6”. Andy has been repairing and rehabbing buildings for 35 years since he was a teenage hellion in East Texas. He wants to help make the world a better place with his two hands. You will likely find him with his trusty canine sidekick Omar, and at least 3 tools in his hands. Fun Fact: Andy is the most interesting man in the world. Norma is a staple at the 2B Living office. She helps neither the productivity nor focus of the staff, but she brings smiles to our faces on a daily basis. She promises to be nice to any 2B Living tenant and not chew up the rent checks. Her favorite foods are rent checks, carrots, rolled toilet paper and internet patch cables. Fun Fact: Norma thinks all TV dogs are real dogs. Check out some real estate. Here’s a sampling of some amazing property we manage. To rent with 2B Living, click here to see what rentals are available. Call, text, email, or stop by our office.